Paige began setting swim records at Austin Prep, and hasn’t stopped yet. In her freshman and sophomore years, she set school records for the highest finish by a female swimmer at the state championships. At the 2008 Division II state meet, she placed 2nd in the 500 Freestyle and 14th in the 200 Freestyle. She followed up in 2009 with 5th and 9th place finishes in those categories, respectively. Page helped the team capture the Catholic Central League Championships in 2008 and 2009, as well as the Dual Meet Championship titles. 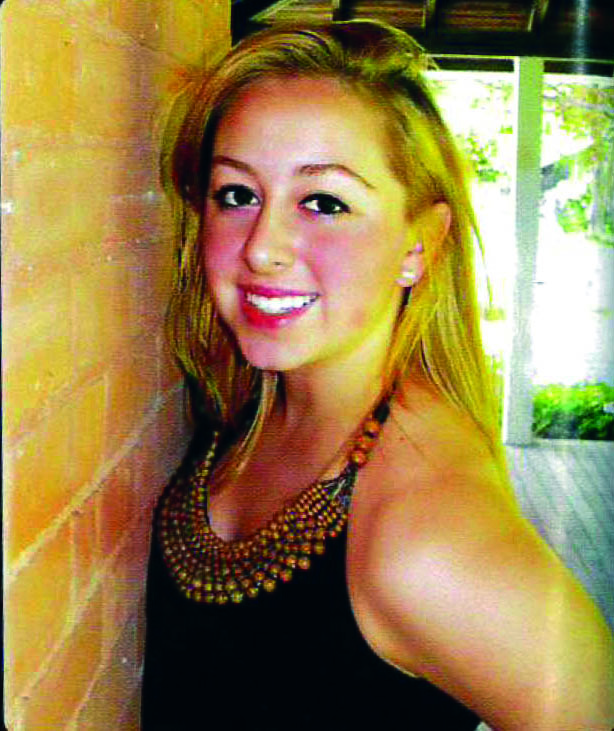 In her sophomore year, she received the Austin Prep Swim Coaches Award. By the time she graduated, Paige held the school records in the 500 Freestyle, 200 Freestyle, and 100 Freestyle. She anchored several relay teams to Top 10 finishes at the Division 2 state meets in 2008 and 2009. Along with three teammates Paige holds the school and Dual Meet records in the 400 Free Relay. An honors student, Senior Class Vice President, and the Paula C. Barraza ’94 Memorial Scholarship Award recipient, Paige was named a two-time All-Scholastic by the Boston Globe. In addition, she was twice selected as a Boston Globe All-Star, named a Lowell Sun All-Star, and was a two-time CCL All-Star. After graduation, Paige attended Smith College where she was a four-year member of the swim team. In her junior and senior years, she was a New England Women’s and Men’s Athletic Conference (NEWMAC) Academic All-Conference selection. In her senior year, she helped the 400 Freestyle Relay place 9th in the NEWMAC Championships and was named the Smith College Athletics Woman of the Year. While still in college, Paige continued to challenge herself. Not content to stay in the pool, in 2014 she swam the English Channel at age 21 in 12 hours, 55 minutes. She further pushed herself in 2016 by completing the 8 Bridges Hudson River Swim, a seven-day, 120-mile marathon, swimming an average of 17.2 miles between bridges. At age 23, Paige was the youngest in the world to complete it, and only the 6th at any age to complete every stage consecutively. In 2016, she was selected as The Eagle-Tribune’s Sportsman of the Year.